COSHOCTON- Charles W. “Chuck” Duff, 67, died Monday, Dec. 3, 2018 at his residence. He was born March 5, 1951 in Bellaire, OH to the late Howard and Florence (Poland) Duff. He was a self-employed oil field worker and equipment operator for most of his life. 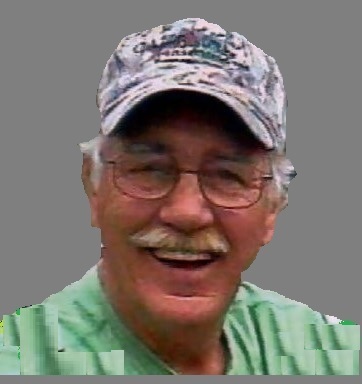 Chuck loved the outdoors, deer hunting, and landscaping and keeping a neat yard. He was a family man who loved his family and friends. He was a wonderful husband, father, and grandpa who will be sadly missed by all. He is survived by his wife of 44 years, Ida (Brown) Duff of Warsaw, whom he married July 3, 1974; five children, John (Shelly) Duff of Coshocton, Joann (Keith) Dingman of Texas, Charles (Sherri) Duff of Florida, Ruth (Christopher) Hertz of Alabama, and Howard (Angie) Duff of Coshocton; ten grandchildren; ten great-grandchildren; seven siblings, Kenneth Duff of Coshocton, Carol Nommay of Big Prairie, Ralph Hughes of Coshocton, Babette Carter of Coshocton, Jim Hughes of Coshocton, Lydia Marshall of Barberton, and Kevin Duff of Akron; and lots of nieces and nephews, family and friends. In addition to his parents, he was preceded in death by a grandson, John Duff. Memorial donations may be made to the James Cancer Hospital at The Ohio State University, 460 W. 10th Ave. Columbus, OH 43210.